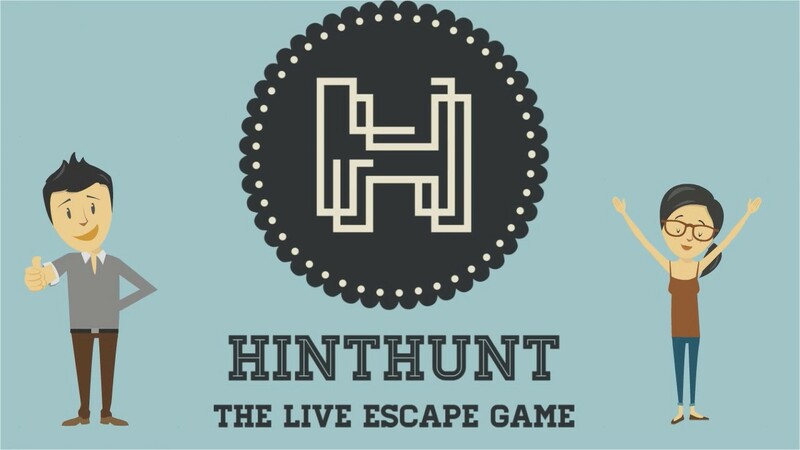 HintHunt were the first company to open in the UK, but they’ve hardly done anything here since, and I was convinced they were just choosing to rest on their laurels. I was surprised to found out that they’d invested heavily in R&D elsewhere to the point that they’d produced one of the most technologically advanced games in Budapest. It’s situated underneath a high-tech restaurant and, if you want to play it, you have to ask the waiting staff, who will go and find you the GM. Once downstairs, there’s a huge space with a bar – presumably it’s not just used for escape rooms – where the two games are located. I say two games, but they both take place in the same space. It’s not an identical layout – some spaces aren’t shared – so they’ve retained that sense of discovery which I think is important to escape rooms and one of my big concerns when I hear about replayable games. The games were fascinating for me to play, because they excelled in certain areas and struggled in others. I’d recommend enthusiasts play, if only to experience a game that’s moving towards the future of the industry and see where many of the pitfalls lie. I don’t think you add much to your life by playing both, though – they’re really very similar. Both games were incredibly pretty and had what would have been solid puzzles were it not for a surprising lack of direction. First impressions were good: there wasn’t a lot to explore but what there was was beautifully designed and implemented. It looked solid and, if you’ll allow me the word, submariney. That feeling continued throughout the experience. You can complain about various elements of the game, but I don’t think its look is one of them. It wasn’t just visually impressive – when you started interacting with some of the set, it was beautiful to use – it felt more like we were using proper equipment than something put together for a game. There’s some tough searching to get done before you get too far, and it took us a while to make progress. Eventually and with a little help, though, we found the props we needed to continue, and then the puzzles started to flow better. We still needed help a few times and, on each occasion, I’d point towards a lack of direction as the reason. Yes, once we knew what we were meant to do, it seemed reasonable, but there needed to be something to point us in that direction. I think that’s the problem with a game that has difficult searching and it’s not clear what the puzzles are: all too often we found ourselves searching when we should have been solving and vice versa. In general, the puzzles made use of the theme and fitted with the mission. That helped to make up for some of the frustration caused by the lack of direction. I mean that in the sense that you could just about convince yourself it was your own fault that you’d missed something rather than the lack of direction from the game. It also meant that, when I think back to the experience, I think of the finale as not being a single puzzle but a slow builder from midway through the game – just the way it should be! We headed back a couple of days later for visit #2. We weren’t really sure what to expect, although we’d spotted a couple of unused elements during the first game that gave us some ideas about what might happen. To be perfectly honest, the description isn’t massively changed from the one for our first visit. Visually, it was obviously very similar, and the areas that weren’t shared with the other experience were equally good. The flow of puzzles was slightly better in this room, with a series designed around the central mission that I thought worked particularly well. Sadly, they still lacked direction, so we were left floundering a little as we tried to work out what they had intended. Once we got the idea of what the game was about, things moved along smoothly. That brought us to the point in the game where three people are needed for a fun challenge that would have bordered on impossible for just two players. We were heavily encouraged to take at least four, but I think that was overly pessimistic – we didn’t find any problem completing it with just three, and I think having four players would have taken some of the fun from it. In a game that was so utterly focused on realism, I was very surprised to find escape room logic counteracting the hard work they’d put in on set design to push forward the immersion. Nothing terrible – they were reasonably straightforward to work out – it just grated slightly. Given the relatively small number of puzzles, they could easily have come up with a way to make more of them fit better with the story line. As with the other game, the sense of mission carried on throughout but with a clearer sense of progress that helped me to enjoy the finish all the more.